VRCast là hệ thống trường quay ảo Lập thể 3 chiều Trackless của Korad. Trường quay ảo EZCast sử dụng công nghệ hiện đại, có mức giá vừa phải, phù hợp với các đài PT-TH, các Cơ quan Báo chí, Tổ chức truyền thông, Trường học, ... của Việt Nam. The world’s first customizable, AVIT-based 3D stereo virtual studio system targeting the new media fusion content creation market. A low-cost 3D Stereo Virtual Solution used for implementing experience-based three-dimensional visual space, such as exhibitions and event displays, and creating experience-based 3D stereoscopic contents in special industry areas such as nuclear energy, aerospace, medicine, and shipping. Not only designed to be simple and convenient, based on the management system and GUI of VRcast, but also a professional 3D virtual solution that reflects the key elements of 3D stereoscopic technology: depth perception, naturalness, and visual comfort. Currently the most complex virtual solution system that supports virtual (general 3D/3D Stereo) studio, switcher, recording, subtitles, streaming, and 4K, 8K resolution but also a “LEGO-type Solution,” where functions can be optionally available by the customer’s demands. Visual engineering design that allows intuitive decision and conformation of all management states. Multiple buttons for checking an object’s state of activation. Lock options to minimize the administrator’s operational errors. Ability to hide and disable menus based on the frequency of use. Flexible Graphic User Interface that allows for customization. 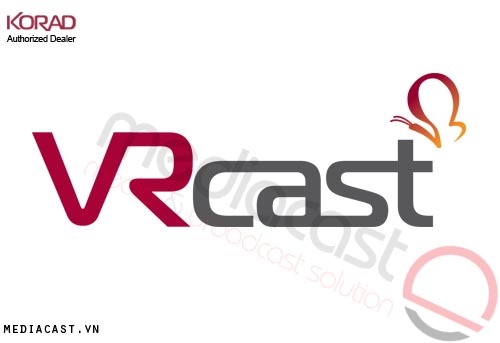 The following functions are controllable even during a program’s transmission, and this sets VRcast aside as a powerful and differentiated system. Compatible with all Windows-based stereoscopic images & Clips. Supports real-time shadow effects of objects and actors. Does not require an expensive 3D Switcher. The virtual camera generates a 360 degree camera angle by rotating just like a physical camera. The virtual object is an independent 3D model, and its position and size can be adjusted intuitively and individually without affecting other objects. The set, actor, and camera angles can all be adjusted and regulated in a short period of time without a separate program or complicated process. The virtual camera has X, Y, and Z values and moves smoothly because it implements angle of view like an actual camera.